Writer John Fowles, author of The Magus and The French Lieutenant's Woman, has died at the age of 79. 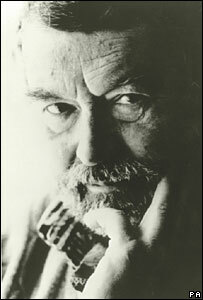 His 1969 book, The French Lieutenant's Woman, made John Fowles a best-selling author on both sides of the Atlantic. It was a new kind of historical novel, with layers of truth, fantasy and self-awareness. 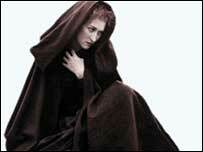 It was made into a multi-Oscar nominated film, starring Meryl Streep and Jeremy Irons. The son of a cigar importer, Fowles was born on the Essex coastline at Leigh-on-Sea and spent his wartime childhood in Devon. His work as a schoolmaster took him from London to the Greek Islands, where he met his wife Elizabeth. She was then married to another teacher, and Fowles later said the horror of her divorce was good training for a novelist. Fowles' increasing literary success throughout the 1960s meant that he was able to move back to his beloved West Country, and he settled in Lyme Regis. 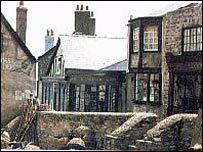 The town became the setting for French Lieutenant and, in 1980, crowds gathered down on the Cobb to watch Hollywood stars bringing the book to life. Fowles' first novel, The Collector, and his 1966 cult fantasy, The Magus, were also made into successful films. The latter achieved cult status in the United States, where Fowles generally enjoyed more acclaim and popularity than in Britain. Fowles once said, "I don't think the English like me. I sold a colossal best seller in America, and they never really forgave me." His other books included The Ebony Tower, Mantissa, and A Maggot, a historical murder mystery published in 1985. Fowles was a conservationist, who published books about Stonehenge and Wessex. He spoke out about the effect of pollution on the birds and fish on his favourite local coastline, and he was equally vocal in his opposition to the Falklands War. He lived a fairly reclusive lifestyle although, until he had a stroke in 1988, he was an enthusiastic curator of Lyme Regis' town museum. His novel, Daniel Martin, published in 1996, highlighted the entanglements of a screen writer. It described mistakes in love, cruelty and attempts at redemption, and was seen as a largely autobiographical work. Fowles' wife, Elizabeth, was his muse for all his literary heroines. Through the author's words, these women became mythical beings who combined strength with femininity. When Elizabeth died suddenly in 1990, Fowles sought self-professed solace in the arms of many "pretty little things", before settling down in 1998 with Sarah, or "she of the Ravishing Auburn Tresses" as he preferred to call her. Apart from women, Fowles' great passion remained language. He described the "supreme delight" of saying something well, and finding a nice turn of phrase. And as with his love of women, even Fowles could be impressed by the discovery of rare treasure in his writing. He said, "Occasionally you're lucky and you hit on something deeper. And that really is marvellous."